Good news, fans of Disney's schmegamega hit film Frozen! Disney just released a clip of a deleted scene from the film, and along with it some pretty cool insight into the process behind writing the film. In advance of the film's arrival on DVD, Disney is offering some choice tidbits to get us all excited and eager to plunk down our money. (And it's definitely working on me because I am soooooo buying this when it comes out. #disneyaddict.) Via the Huffington Post, this deleted scene features more on an insight into the way Anna and Elsa's relationship used to be. A clip scrapped from the film before it hit theaters was posted to the Disney Animation YouTube account Thursday (Feb. 20). Directors Chris Buck and Jennifer Lee introduce the dressing-room scene as a portrayal of the siblings' relationship. "We wanted the girls to interact the way a lot of us who have siblings and sisters do when you share a room, and just bother each others' stuff," Lee said. "But we found that once they were divided, we needed to keep them divided." The interaction between the two princesses, however, goes against much of what was established the earlier in the movie. If the deleted scene had been included, the separation of the sisters wouldn't have been as definite, and their eventual reunion would not have been as meaningful. There's also another scene showing how Anna and Kristoff met, too. 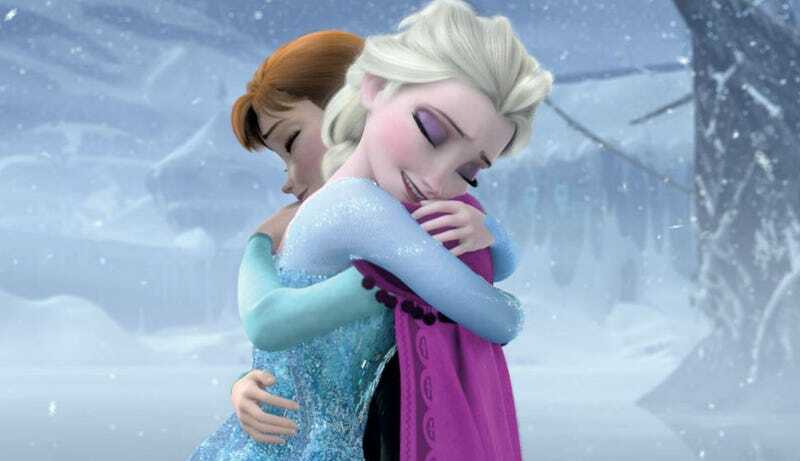 Frozen comes out on DVD on Feb. 25 and on Blu Ray on March 18. If you need more of Frozen before then, I'd suggest just watching this over and over and over and over again, because it's still pretty much the greatest thing to come out of this or any other movie ever.